All it takes is bringing in one egg capsule, six months later you have an infestation. When beginning your German roach control program, sanitation is one of the first things to consider. 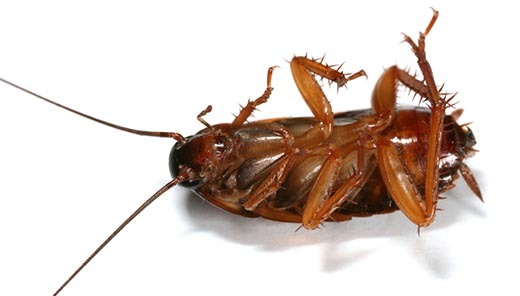 German roaches only need a small amount of food to sustain them. Remove indoor trash or keep them emptied. Make sure food is not left in sink stainers and frequently run the garbage disposal. All kitchen appliances (microwaves, toasters, ovens, refrigerators and stoves) should be maintained in a clean condition so that it is food free and grease free. All pet food needs to be picked up. Sweeping or vacuuming of any food particles or crumbs. Clean any crumbs or food particles in your kitchen cabinets. When inspecting for German cockroaches, thoroughness is very important. It is important to place the insecticides as close to their runways and harborages as possible. Their excrement looks like black pepper. A flashlight would be a handy tool to check the following places. Anywhere else conditions are favorable.